Exceptional deck design includes an overall superb plan, but also fine details. Railing, balusters, post caps, stair design, accent lighting, benches, planters and floor board patterns can provide an otherwise simple custom deck with, ‘the wow factor’. It’s definitely all in the details. With great design techniques, including interesting floor patterns, an experienced contractor will turn an ordinary deck into a spectacular ‘outdoor room’. For even more ideas, check-out, “St. Louis Deck Designs: Turning an outdoor space into an outdoor room”. But I digress. Let’s get back to deck board designs. 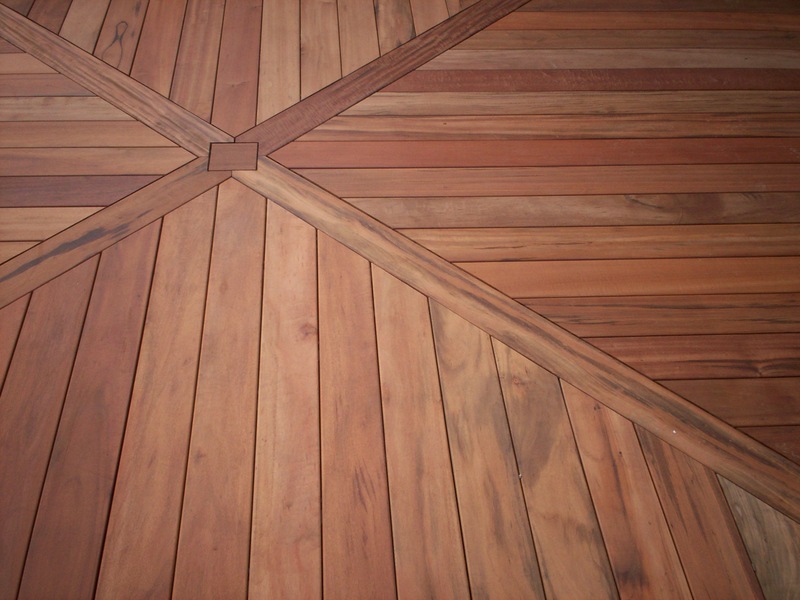 Decking board patterns can range from small and simple designs to larger, intricate and complex designs. 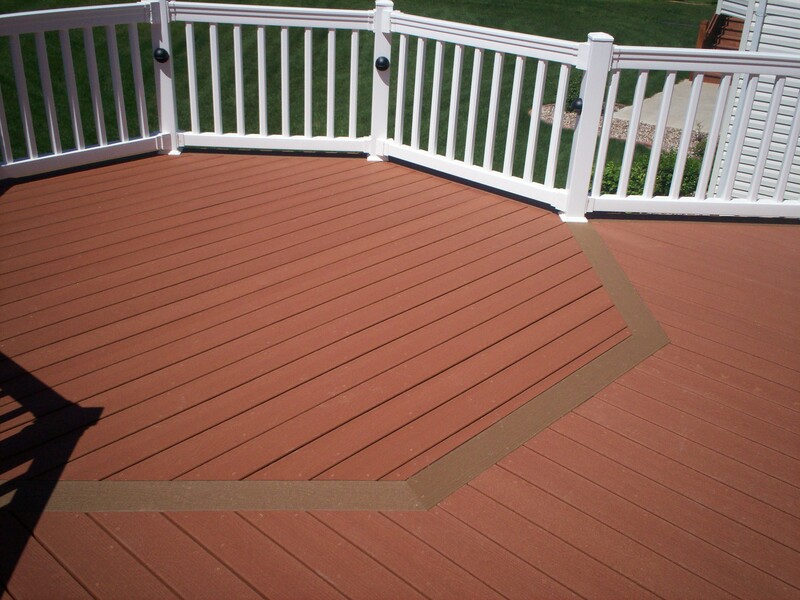 Deck surface patterning has a great deal of cosmetic appeal and some structural benefits too. Geometric shapes add visual interest and ‘draw the eye’ to a deck’s focal point, such as a decorative railing, a scenic view, or a surface quadrant for dining, relaxing, or gathering. Geometric shapes include: diagonal with parting board, triangular, diamond, hexagon or octagon, herringbone or basket weave pattern, board intersection, or even a picture-frame, outline border. Floor boards of a different color also create visual contrast between primary decking and accent decking. Custom edging with trim boards is a popular cosmetic variance too. Mix and match horizontal and vertical, perpendicular and parallel planking patterns for plenty of style. And finally, ‘tie it all together’ with matching benches or planters to complement decking accents in color, shape or graining patterns. Give your deck a touch of individuality with special design elements like a flooring pattern for a customized style. A deck filled with design details and ‘The Wow’ factor. 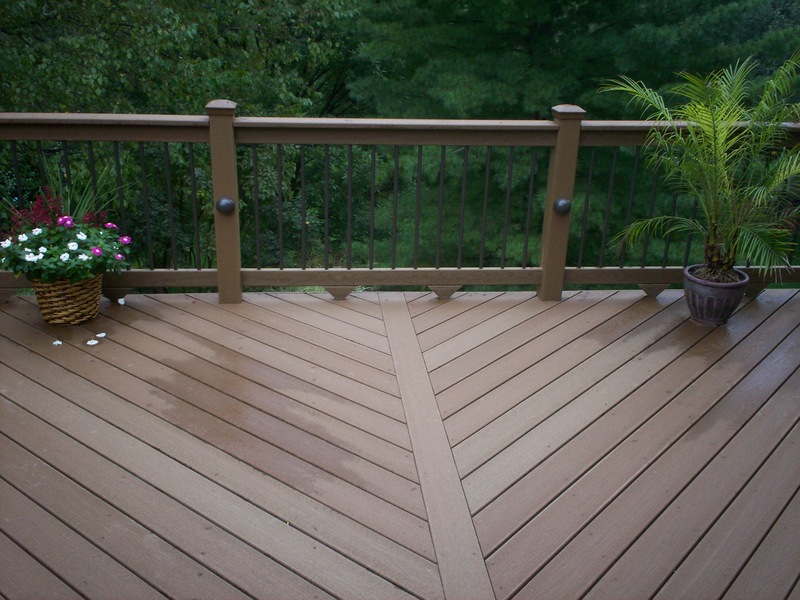 Visit our St. Louis website to see deck designs by Archadeck of West County and St. Charles County.